Inside and out, THE VUE is the ideal place to make your home. We’ve put extra thought into every inch of this impressive structure to foster community, ensure your security, and provide you with luxuries and conveniences to make life easier and more enjoyable. Luxury condominium living is a complete experience at THE VUE . 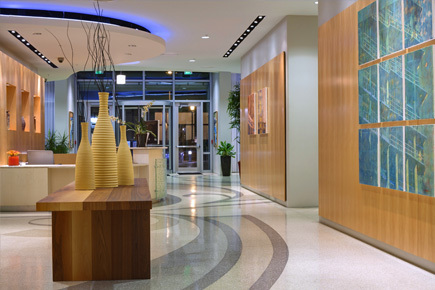 The luxurious lobby includes a concierge and 24-hour doorman and provides a tasteful and elegant entrance to the building.